The parents of the youngest victim of the Boston Marathon bombing are urging federal authorities to consider taking the death penalty off the table for convicted bomber Dzhokhar Tsarnaev. 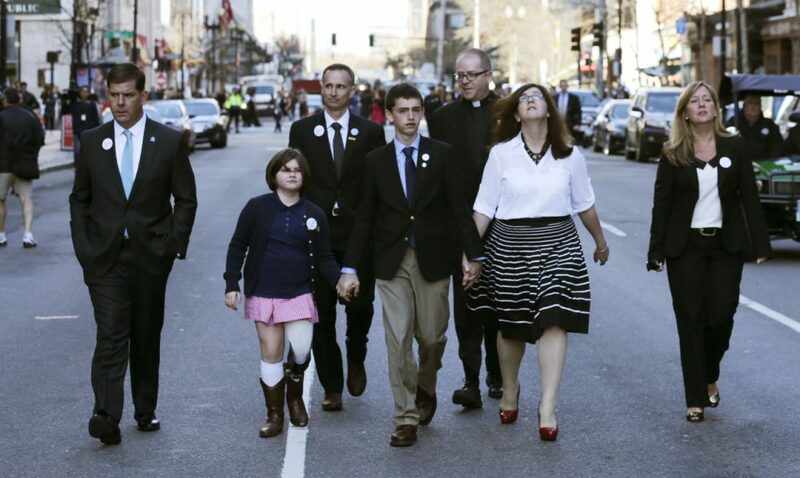 Bill and Denise Richard, whose 8-year-old son, Martin, was one of three people killed by the April 2013 explosions at the marathon's finish line, write in a piece in Friday's Boston Globe that sentencing Tsarnaev to death "could bring years of appeals and prolong reliving the most painful day of our lives." They write that when Tsarnaev fades from the media spotlight and public view they can start "rebuilding our lives and family." The Richards never mention Tsarnaev by name and stress that they are speaking only for themselves. In a statement in response to the piece, U.S. Attorney Carmen Ortiz said she has "spoken with Bill and Denise Richard many times since the beginning of the case and I am aware of their views." Ortiz added: "My relationship with them, and with all of the victims and survivors, is very important to me. Over the past two years, I have heard from scores of survivors and victims about their feelings regarding this case. Many have strong views about the best way to proceed. Those views have been heard and have played a role — and continue to play a role — in the Department of Justice’s handling of this case." But former U.S. Attorney Donald Stern told WBUR the Richard letter likely won't change the government's plan moving forward. "In the American justice system, we don't put the burden on the victims' families to decide or not decide whether the death penalty is appropriate," he said. "We leave that to the jury." The Richard family piece comes a day after the latest WBUR poll found 58 percent of Boston area registered voters support life in prison for Tsarnaev, compared with 31 percent who back the death penalty. In the city of Boston itself, 61 percent of voters support a punishment of life in prison, compared with 26 percent who favor the death penalty. The penalty phase of Tsarnaev's trial, in which jurors will determine whether Tsarnaev should be executed for his crimes, starts Tuesday — a day after the 2015 Boston Marathon.